Most of us love beautiful green lawns but lack the free time needed to keep them looking sharp. With Carpenter & Costin’s lawn care programs, you’ll have all the benefits of meticulously maintained lawns without the investment of time, effort and back pain. Be the envy of the neighborhood with lawn care service programs to fit your lifestyle and budget, and relax while we make you look good! Your lawn and gardens create the first impression of your home or business. Our lawn care programs eliminate the hassle of hiring and managing staff plus buying and maintaining the equipment required for best results. 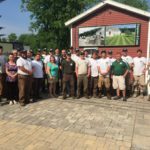 Leave the mowing to Carpenter & Costin’s dependable team of professionals whose passion is the outdoors. Lawn Care, Fertilizing and Insect Control Programs Keep the Grass Green and the Weeds Away! Fertilizing is not as easy as it appears on TV. 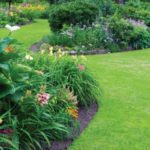 We’ll determine the products needed to produce the healthiest, most beautiful lawn while controlling weeds, crabgrass and damaging insects. Our trained and certified technicians will apply it properly and safely, and you’ll fall in love with the results! We couldn’t be more pleased! Our 37 acre campus has 60 condominium units, a 75 bed assisted living retirement home, and an independent living community with 62 apartments. 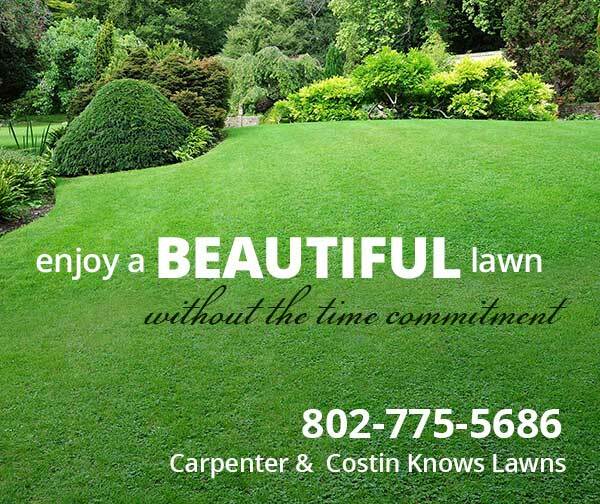 Carpenter & Costin has been working with us as of 2006, performing landscaping and snow-removal services. Since they started with us, we receive consistently high praise for the appearance and care of our grounds. We couldn’t be more pleased with their professionalism and performance. From the manager to all of their workers, everyone is friendly, helpful, and committed to good service. Thank you, and your crew for a job well done! The stone patios, terraces and sitting walls you built have not only beautified our home and grounds, but have made our outdoor areas an enjoyable area to entertain or just relax.